Due to the innovation of gunpowder, advances in navigation, and improvements in ship-building, European nations took to major water ways in order to trade goods and ideas via shipping routes located in the Indian Ocean, Indonesia, and the Atlantic Ocean. The ability of explorers to navigate also stemmed from newly advanced map-making techniques which allowed for easier, more accurate sailing in order to transport goods from place to place. In addition to these things, innovative tools were being created in China, like the Sternpost Rudder, which allowed for better control of larger ships and less-complicated navigation, and made their way to the Europeans through trade. 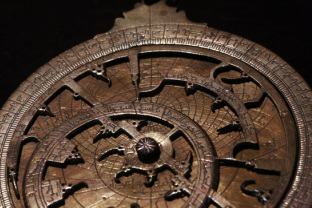 Other items such as Lateen sails, Astrolabes, the magnetic compass, and three-masted caravels all allowed for larger ships to carry a greater abundance of goods to countries further away. While some of these inventions existed prior to this wave of exploration, they had not been used together towards the common goal of developing with other countries through trade as they did starting in the 15th century. While agriculture wasn't hailed as one of the most prominent factors in this age of exploration, it still acted as an important factor in the trading of goods across the globe. Technology innovations allowed continents like Europe and the Americas to trade crops such as corn, potatoes, sugar cane, and tomatoes, increasing economic wealth and enhancing the food base of both continents. Geography acted as one of the most important factors in the improvement of trade through innovative products. Because the Middle East acted as a middle man between Europe and China, the Europeans were driven to find a way to work around their avaricious neighbors. Countries that were also closer to the Atlantic borders were also given an advantage in sea trade since other land-locked countries were not given the opportunity to develop nautically. Spain and Portugal are the two most notable countries to venture out to Asia via new trade routes seeking profit and new products. In regards to the military, the most evident effect that trade innovations had was the spread of gunpowder and its many uses. The development of gunpowder weapons acted as a major factor in the increase of travel by sea and were also used during times of trade in exchange for other goods that were hard to acquire, including human labor. Social changes also occurred during this time since not only goods but ideas and people were being exchanged in vast amounts. Millions of Africans were exported from their native countries to be used as free labor all over the world. This mass transit of people is still affecting social relationships between people of different races today. Politically speaking, the colonization of a multitude of areas was the direct effect of innovations via nautical trade. The most famous example being in the Americas, colonial countries were also located throughout Africa, Central America, and later on, Asia. Through this colonization, the mother country, European in most cases, was able to receive raw resources from their colonized area and created new markets for exporting goods. The trading of ideas did not exclude religious notions that were passed from person to person. During explorations the idea of spreading Christianity was extremely relevant to oppressed or visited nations. The main goals of major explorers including Christopher Columbus, were to spread their own religious will unto those located in nations they wished to visit, establish trade relations with, and possibly colonize. Innovative tools such as the magnetic compass, improved sails and rudders, and new ship structures allowed for immense improvements in trade since they allowed for larger amounts of cargo to be transported from location to location with an ease unknown to travelers prior to this era. Countless different technological innovations came into play during this age of exploration that allowed for easier navigation by sea and thus leading to a more effective trading system. The economies of countries, mainly Europe, involved with these new and improved trading techniques reaped astronomical benefits. The introduction of new products and ideas within their marketplace brought upon a new economy which can be seen as the foundations of modern economies. Joint-stock companies emerged during this time as well as the giving of loans by the church, monopolies materialized in Russia and the Spice Islands, and mercantilism became consequential.